We think it’s quite odd that Mo Salah isn’t getting the respect he deserves as a world-class player this season. During his debut campaign, the media lapped him up, but they’ve decided to take a different angle on him this term, despite Liverpool topping the Premier League table with Salah at the top of the goalscoring charts – often claiming he’s ‘having an off day’ or pretending he’s ‘dived’ – when in fact he’s just legitimately won a penalty. This stat from expert and Liverpool fan Simon Brundish is jaw-dropping, to be fair, and shows how ludicrously good the Egyptian actually is. 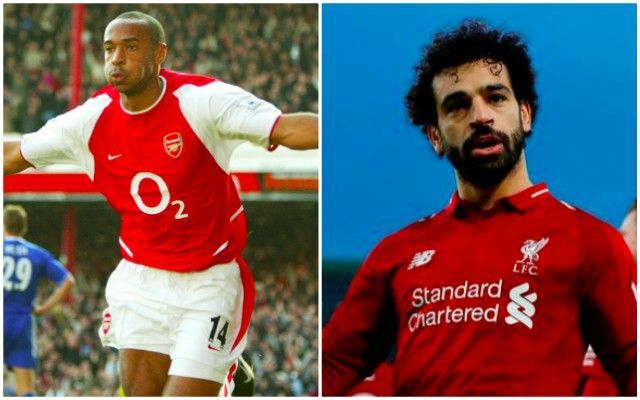 Salah registers a goal or an assist every 77 minutes, which makes him the most productive attacker in the history of the Premier League – just ahead of Sergio Aguero and Thierry Henry. You can see in Brundish’s table that Mo is far ahead of the likes of Luis Suarez, Harry Kane and Cristiano Ronaldo as well. Not bad for a one-season wonder, eh? We only hope Salah can secure the silverware this term that his talent warrants. We are currently four points top of the Premier League table and in the Last 16 of the Champions League. It’s going to require a monumental effort in both competitions if we’re to stand a chance come the summer.